Honestly, if asked to define “salsify” I would have guessed it was the act of giving ordinary music a Latin beat. Apparently not. Salsify is evidently a root vegetable, also known (to the degree that it’s known at all) as the “Vegetable Oyster” because it apparently tastes a bit like one (an oyster, not a vegetable.) 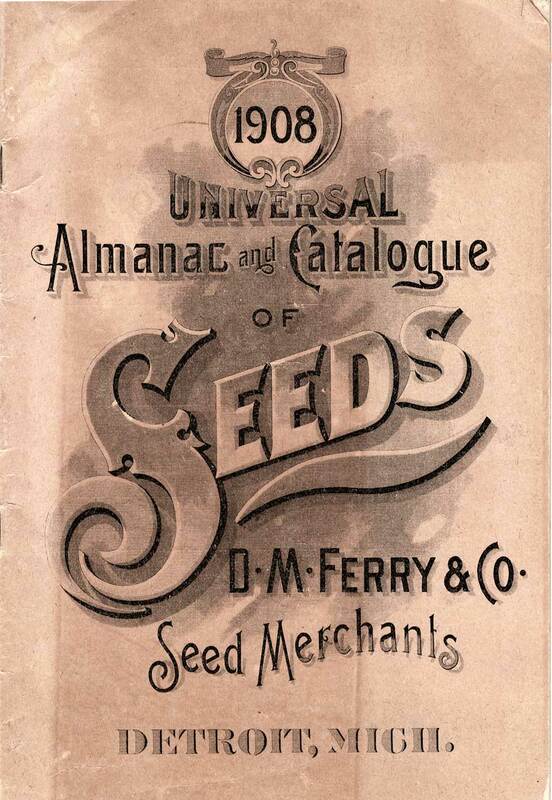 Not found in any of my local supermarkets, but in 1908 you could buy salsify seeds from D.M Ferry. 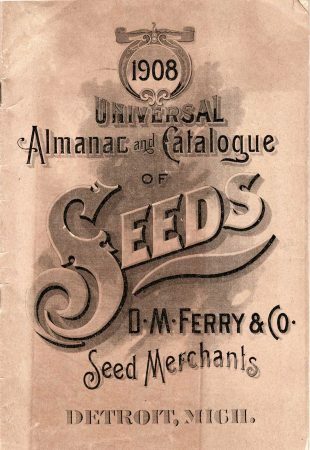 More almanac than a sales catalog (which was available separately with fine color images) this handy guide listed sunrise and sunsets for every day of the year, handed out planting advice (avoid “fresh manure” as it will cause rootes to grow uneven and ill-shaped, and described plants from Artichokes to Wormwood, detailing the popular varieties available to 1908 gardeners. Not only are some of the vegetables obscure, some of the spellings are too: “Spinage” and “Ruta Baga” look funny to modern eyes. 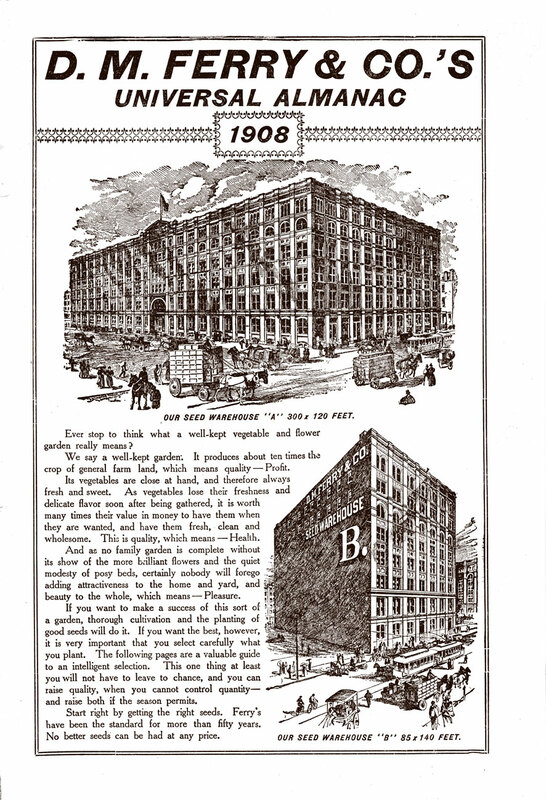 But Ferry must know what they were writing about – in 1908 the company was already 52 years old. Thriving, too, if the two warehouses depicted on the first page are any indication. And it still thrives today, as a division of http://www.plantationproducts.com which is a perennial favorite of gardeners. You can pick from 17 varieties of spinach. 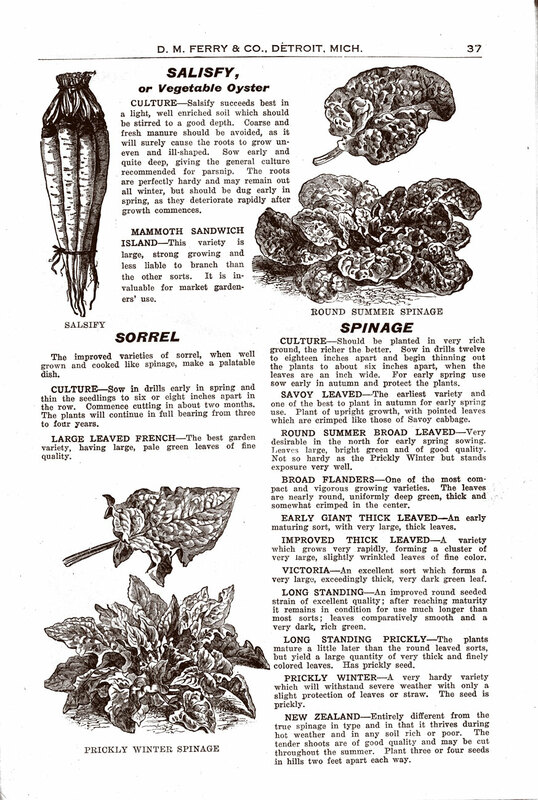 But they no longer sell salsify.